3 ft. 6 ft. cdzrcwvvxeu 10 ft. 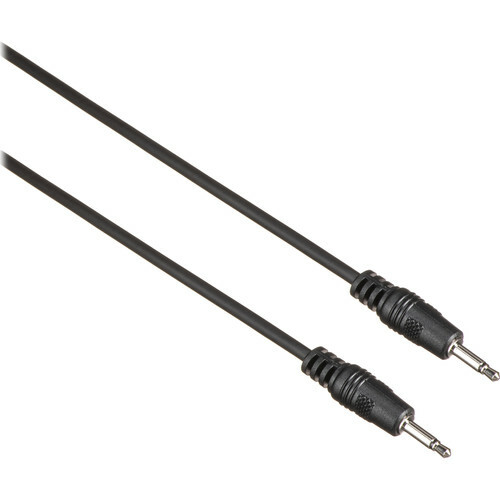 This Comprehensive Mini Male to Mini Male Cable is a general purpose 10' long connection cable with mini (3.5mm) male plugs at both ends. Box Dimensions (LxWxH) 10.0 x 8.0 x 0.85"
Mini Male to Mini Male Cable - 10' is rated 5.0 out of 5 by 6. Rated 5 out of 5 by SEMclassic from Just right, rock bottom price Just the right amount of rugged construction and flexibility/weight of cable. i wish these were manufactured in the U.S. or maybe even Canada, but for my use case (patching analog synth control voltages), it's just the ticket and as good as cables which are 3-4x the cost. Rated 5 out of 5 by Anonymous from Worked as expected I needed a long cable to use as a 12V trigger between my amp and preamp. This worked perfectly and without the possible trouble that some equipment manufacturers have with stereo cables. Rated 5 out of 5 by blueeyes3515 from Mini Male to Mini Male Cable Just what I needed to fire my lights. ... the product works wonderfully!